The importance of a college degree can't be overstated. You've probably heard that sentiment enough times, but when you really delve into career data, you see just how obvious the benefits of a degree really are. According to government data, bachelor's degree holders, when compared to people with a high school diploma alone, are about twice as likely to be employed and are able to earn 35% more in wages. But the National Center for Education Statistics (NCES) observed that between 2000-01 and 2010-11, college costs at public schools rose 42%, while those at private institutions rose 31%. Not the most reassuring numbers to see when determining the finances required to attend school. There are, of course, a number of ways to help families manage these rising costs. One of the first places to look for financial support is the 529 plan. Providing a valuable tax advantage, as well as tuition savings, the 529 is a great way to help you maximize your tuition dollars. The number 529 stands for Section 529 of the Internal Revenue Code, the federal law that exempts federal income tax from any earnings spent on a “qualified tuition program.” Remember, though, that since no income tax is assessed on your earnings when you invest in the plan, you cannot take an education deduction on your federal income tax when the 529 money is later spent. Many states, however, offer additional income tax deductions on 529 contributions. To receive the tax benefit, the contributor should place the account in their own name. Not every state offers these breaks, and there may be reasons a contributor would not want the account in their name – like other loans and debts – so be sure to check with a tax specialist before opening an account. Keep the tax advisor's number handy because there are a few pitfalls associated with 529s. For example, if money from the plan is spent on something that is not a qualified education expense, income tax as well as a 10% penalty will be assessed. Qualified education expenses can include tuition, room, board, student fees, books, calculators, software, computers and internet access. Even off-campus housing may meet the standard of a qualified education expense, as long as it doesn't exceed what you'd pay to live on-campus. If the beneficiary is lucky enough to have more money in the 529 plan than their total qualified educational expenses, the excess will be taxed as ordinary income, and the 10% penalty on earnings will also be levied. Finally, non-parent contributors should take care not to exceed the annual exclusion amount for gifts, currently $13,000, lest a gift tax be imposed. Anyone may contribute to a 529 plan. You can even set one up for yourself. A single plan can have any number of contributors. Each 529 plan, however, has a single, designated beneficiary. The beneficiary designation can easily be changed to another family member. 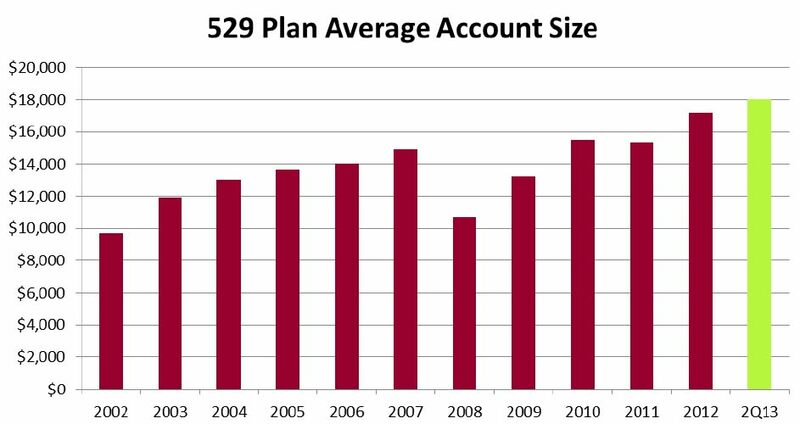 Likewise, the funds of a 529 plan may be rolled over into another 529 plan with the same beneficiary. If no qualified beneficiary chooses to attend college, you may still withdraw the funds from a 529 saving plan, although both income tax and the federal tax penalty will be assessed. Each state's prepaid tuition plan is unique, so you should know their policies for withdrawing funds before investing in such a plan. There are two basic kinds of 529 plans: prepaid tuition and savings plans. Rising tuition costs have yet to let up, so you may want to lock-in tuition at today's rates with a prepaid plan. Currently 18 states offer these plans, and they frequently offer a far better investment option than a traditional savings account or even a certificate of deposit. State-sponsored, the prepaid option is generally available only for public institutions of higher learning, and many are restricted to in-state residents. Some states even guarantee investments made in prepaid plans. Rather than paying the entire tuition cost up-front, with prepaid plans you purchase a unit, share, semester or credit that is then accepted by any of the participating colleges or universities in that state. One state that provides the full range of benefits allowed under a 529 prepaid tuition plan is Illinois. With this plan, if the student attends an Illinois public university, 100% of tuition and fees will be covered for every pre-purchased semester. So, if you purchase 8 semesters ahead of time for your child, their entire undergraduate degree would be covered, regardless of the increase in tuition (assuming they'll matriculate in four years). Even if the student chooses to attend an out-of-state or Illinois private college, Illinois' prepaid tuition program will pay the mean weighted average of tuition and fees charged at comparable Illinois public institutions. Therefore, even though the entire tuition and fees at the expensive private school may not be covered, the investment will realize a good rate of return, since it will have grown in proportion to the increase in college tuition costs. Each state's prepaid plan is unique, and not all offer the private school or out-of-state option, so you should take the time to research your state's requirements and benefits. Every state offers at least one 529 savings plan. These plans are flexible, allowing the money to be spent on any qualified education expense – not just tuition and fees. A wide variety of investments may be used in a 529 savings plan, including stock and bond mutual funds, money-market funds and age-based portfolio investments that adjust their risk as the student gets closer to attending college. And many 529 savings plans only require a modest contribution to get started. Again, don't forget to do your homework and make sure the 529 savings plan you choose has a good reputation and will meet your expectations. 529 plans can of course be an excellent investment vehicle. The best advice is to carefully research your options, then start saving – early and often. Remember, it is never too late to start.